In the summertime, everybody tends to use more water which results in a higher utility bill. To combat this, we have listed some strategies that you can easily implement to conserve water at home. Allow the environment to do some landscaping work for you. In addition to keeping up with the expected daily weather, there are plenty of online resources that can help in determining the average rainfall for your area. Utilize these tools and balance your watering schedule for plants and grass around your home with the natural rainfall to conserve water at home this summer. You probably don’t even realize how often you let the faucet run perfectly good water down your drain. This summer, plug your drain when you’re brushing your teeth, rinsing your razor, or washing your face. Share this tip with everyone in your household and you could save over 300 gallons of water a month. Depending on the year your home was built, you might be using some pretty old appliances. Outdated dishwashers, sinks, toilets, and shower heads use over twice as much as WaterSense labeled appliances, which have become the norm in newly built homes. Not only will updated appliances efficiently save water, they will also save your household money. While garbage disposals are convenient, they aren’t environmentally friendly. Running fresh, clean water down the drain to discard old food is wasteful. A great way to conserve water at home this summer is to try out composting. Composting will create organic, rich fertilizer that can be used to help your plants grow. For tips and tricks about how to get started, visit the HGTV website. 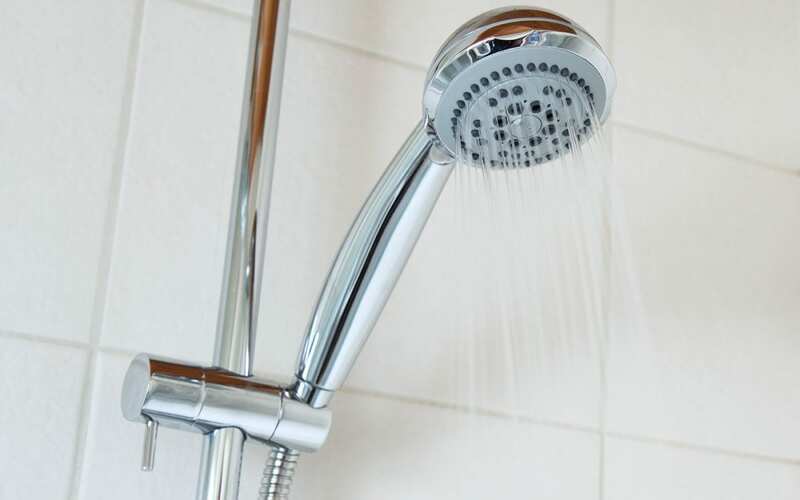 You don’t have to shorten your showers by much to make an impact. Just by cutting back by 2-3 minutes, your household can conserve well over 100 gallons of water a month. Timing your showers is a great way to keep you on track and is as easy as setting an alarm on your phone before you hop in. This suggestion on how to conserve water at home might seem basic, but even minor leaks can cause serious water expenditure. A dripping faucet or a hose with a small hole can waste dozens of gallons of water each month. The start of summer is a great time to double check all your appliances and fix any leaks. A great tip for checking an often unnoticed toilet leak is to add 12 drops of food coloring into the tank and check back an hour later. If you can see dye in the bowl of your toilet, there is an undiagnosed leak. When attempting to conserve water at home, try to find a second use for water you’re about to dispose of. If you have a fish tank that needs cleaning, use the nutrient-rich water to fertilize your plants. If your car is ready for a wash, move it to a parched part of your lawn so the runoff can hydrate your grass, instead of washing it over your driveway. Use a bucket filled with tap water to wash fruits and veggies in the sink rather than rinsing them under a running faucet. You can reuse that water for watering any indoor plants. There may be features around your home that use pumps. Check your ponds, pools, and fountains to be sure they are using circulating pumps, a system that recycles water through a closed circuit. This saves a significant amount of money and eliminates water waste in a big way. Appalachian Inspection Services offers water testing along with other inspection services for homes in Western North Carolina. Contact us to have your water tested, or schedule any of our services.